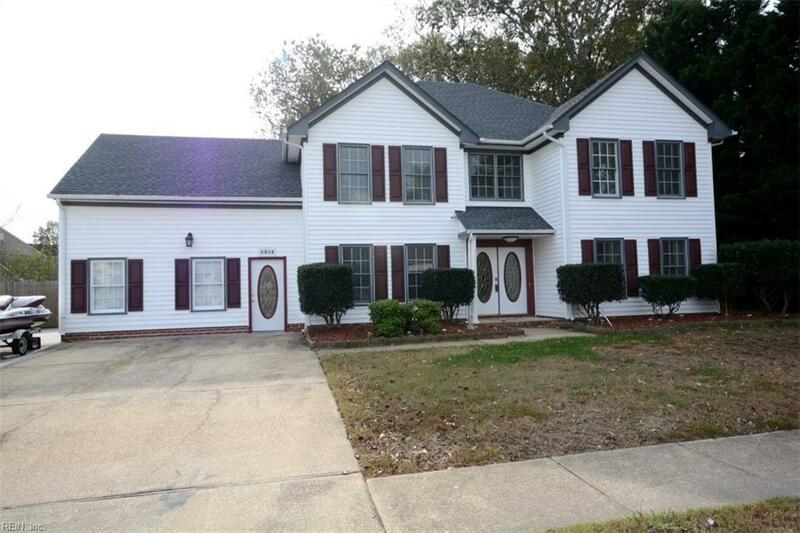 Wonderful home in the heart of Western Branch. Easy access to the Southside and Peninsula. Recently renovated. New kitchen, roof, LVP laminate floors, countertops, paint. Updated bathrooms. Stainless appliances. Wrought iron spindles. Hardwood floors upstairs. Exterior trim wrapped, Custom tile showers and baths. Huge master bath and bedroom. Open contemporary layout. Large converted garage perfect for home office or bonus room. Large fully fenced backyard. Additional driveway space at left of home for boat and RV. If your looking for a great property call and schedule a showing today! Selling Office: Shaffer Real Estate Inc.